Love this New York Times’ piece, “Not Just the Wine Is Purple: Lavender Wafts Across Sonoma“. I have read many accounts describing visits to lavender fields, this is the first time I have heard that humming buzz was the main attraction. Last summer, I also had the opportunity to visit Matanzas Creek Winery in Santa Rosa. My husband and I walked through the gardens, tasted wine and enjoyed the warmth of the California sun. If you enjoy fine wine, beautiful gardens and great food, give yourself a treat and visit Sonoma, Santa Rosa and Nappa Valley. Lovely lavender stars in this weekends harvest celebration. Sunny, hot weather made everything sparkle and shine. I visited Crescent Falls Organic Farm, the venue for the Lavender Sisters celebration. What a treat! 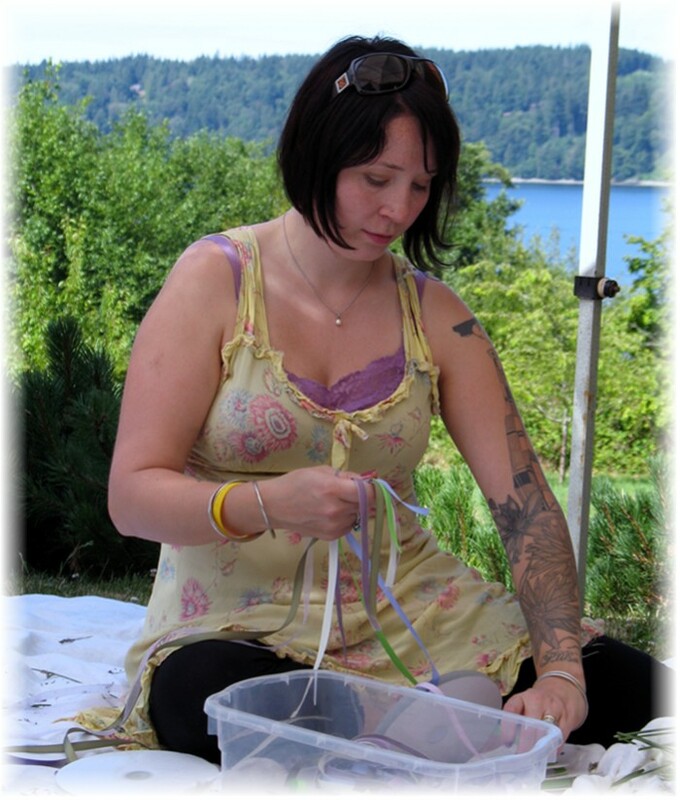 This young lovely woman is showing us how to create a lavender wand. Weaving ribbons around lavender stems results in a regal wand that offers the fragrance of lavender to be enjoyed throughout the year. Lavender celebrations will attract hundreds of people to Vashon Island (just minutes from Seattle by ferry) this weekend. 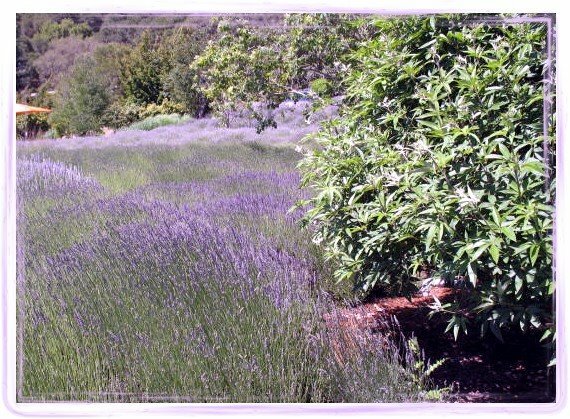 Officially known as the Vashon Lavender Farm Tour, this event is a “must” for people who enjoy natural beauty. The fields full of purple flowers dancing in the breeze will delight you. The music, food and fun brings us together to admire nature’s abundance. “Lavender: Making it Last” is the topic I will be speaking on Saturday, July 11th, at Crescent Falls Organic Farm. This is the venue for the Lavender Sisters’ celebration. The farm sits high on a bluff overlooking Calavos Straits, in the distance Mount Rainier glistens against the blue sky. If you want to discover how to make a lavender wand, this is your opportunity. Interested in learning how to cook with lavender? Don’t miss Denise Kitchel’s cooking (and tasting) demonstrations. Maybe you are fascinated by honey bees, then you will love hearing Lois Franz talk about her hives. 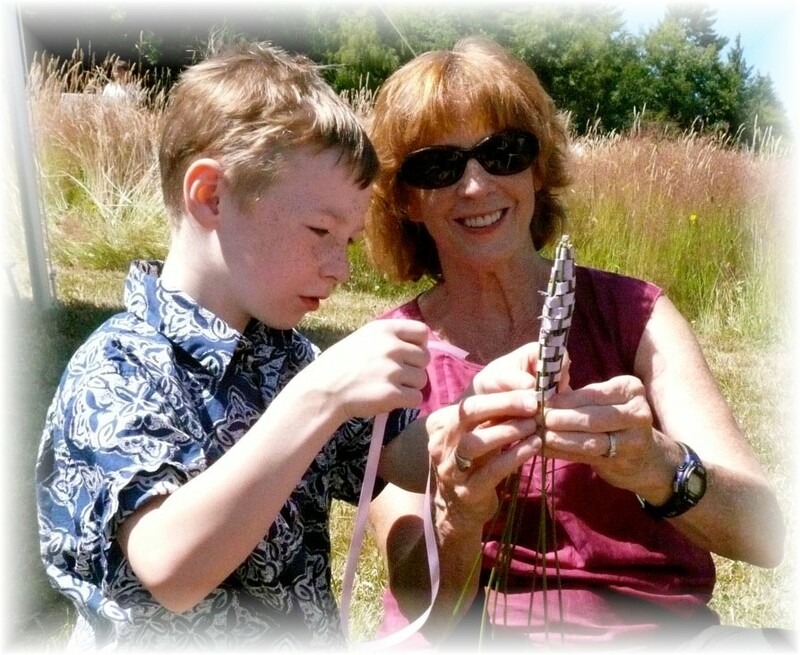 Hope to see you on Saturday, July 11th at 11:30 a.m. down near the stone garden at Crescent Falls Organic Farm. Sweet, pitted, caramelized cherries make a fantastic dessert. Whether you spoon over angel food cake, drizzle over vanilla ice cream or use as topping on a fudgy brownie, these cherries are a hit. The recipe, published in the June 2009 issue of Sunset magazine, is quick and easy. Pitting the cherries takes a little time, however I used a new tool, a cherry/olive pitter. This tool made it easy. Lavender, a member of the mint family, calls out the fruity flavor of the cherries. I served this at a family picnic. My seven-year-old grandson tasted the dessert and said, “Wait, there’s lavender in this dessert and it is yummy.” Sam’s foodie instincts are beginning to emerge. 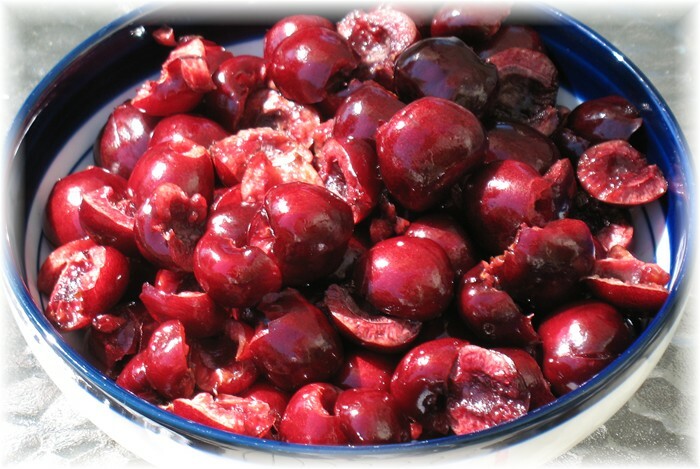 Try this recipe now while cherries are in abundance at farmer’s markets and grocery stores! Please let me know how you liked it. Looking for a quick and refreshing summer drink? Try this combination of Pinot Grigio with raspberries, orange juice and lavender syrup. 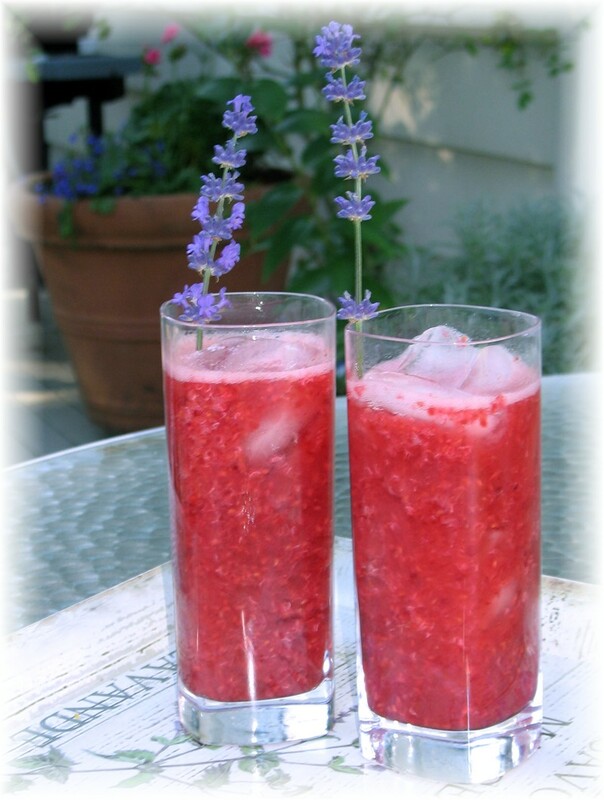 Bright and fresh, this raspberry lavender cooler is sure to delight you and your guests. Combine thawed raspberries, orange juice, lavender syrup and wine in a blender. Blend until mixed, about 30 seconds. Pour into glasses and garnish with lavender sprigs.